For a wide selection of fishing tackle, clothing & accesories. Boat and motor hire also available. The OTFA is a non-profit making voluntary body dedicated to the preservation and enhancement of game fishing throughout the Orkney Islands. 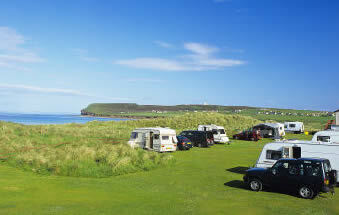 The Dunney Bay Camp Site is situated at the Western end of Dunnet village, and is ideally placed for a holiday in Caithness.